I'm really sorry guys, this post is totally cheating, it's after midnight, it's officially the 8th. But I figure that's no reason to give up, you'll just have to get two posts today! So I'll keep it short and sweet, here are a couple of products I've recently gotten from the Sally Hansen range that I'm really not happy with. I felt the gel cuticle remover did nothing, at all. The Nail Polish strips came off in under an hour and the No Chip Top Coat lead to the nail varnish underneath becoming separated, leaving the appearance of cracks. It's very disappointing as I really love the airbrush legs, their nail varnish remover and I even have a few nail varnishes which I like, but these three products did not reach the standards I've come to expect from Sally Hansen. So hopefully I'll save you all a few euro by not wasting your money on this products. Avoid at all costs! 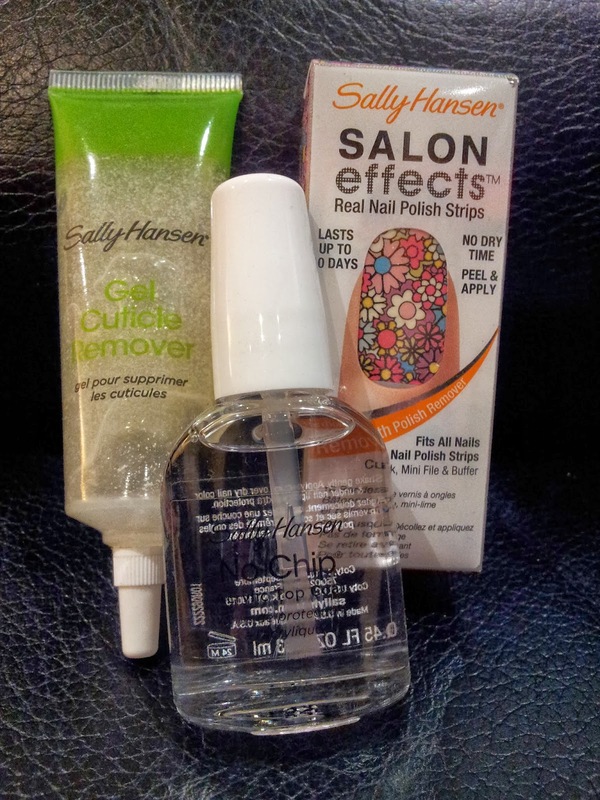 Have you tried of any of these products from Sally Hansen? What products have you found disappointing lately? I have two packets of those nail wraps sitting on my dresser for months and I still haven't used them, they just look like two much faffing around, but if they don't even last too long maybe I'm right not to bother?! Funnily enough they were also sitting on my dresser for a couple of months before I tried them! Perhaps someone can correct me if I did something wrong, but I followed the instructions, really took my time and there was zero pay off! Very disappointing altogether! Oh no hate buying crap products! And Sally Hansen isn't overly cheap for what you get! Yeah I think I will just be sticking to what I know also!